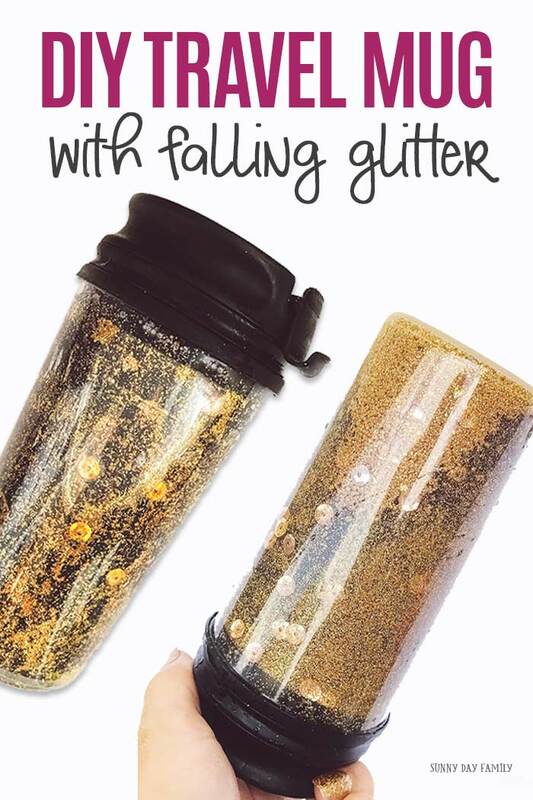 This DIY falling glitter travel mug is an easy craft project for kids and adults alike. I have to admit something. I love travel mugs. I have a ridiculous collection of them, and use them all the time. Even when I'm home! It's probably because I am always convinced a kid or a pet is going to knock my drink off of the table (I'm looking at you, cat). Since mom loves her travel mugs my boys want some of their own. 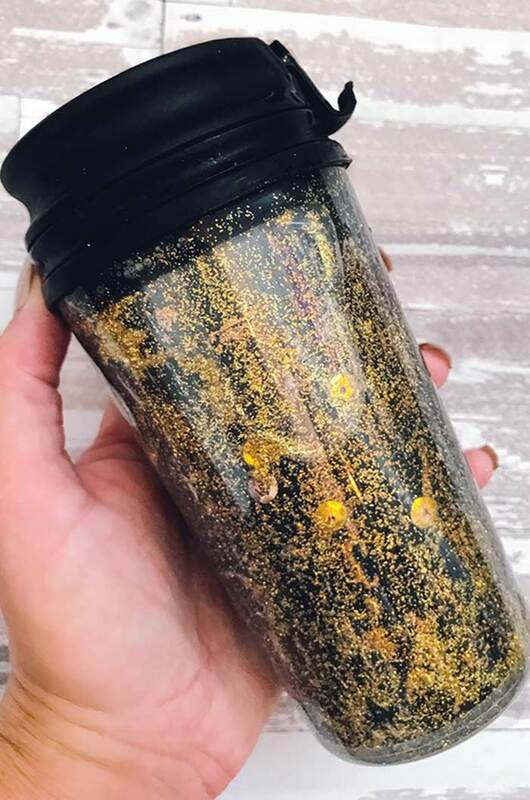 I love falling glitter jars and thought it would be super fun to combine the two with a DIY travel mug with falling glitter. 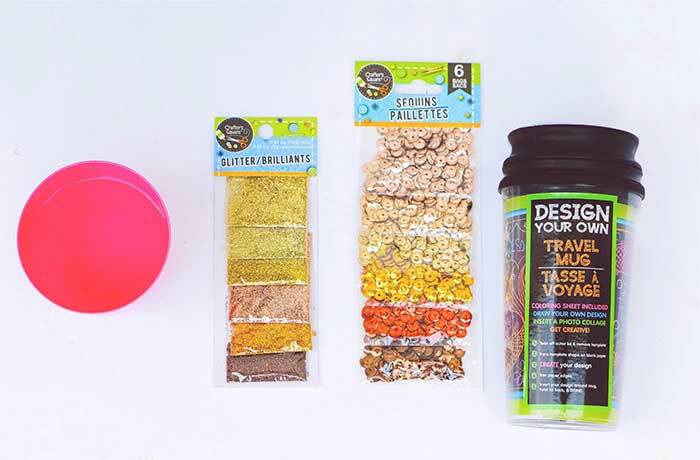 This is a really easy project that anyone can do, and you only need a few supplies that you can find at the dollar store. It's a great project for play dates or birthday parties, and makes a fun gift idea too! And the best part? 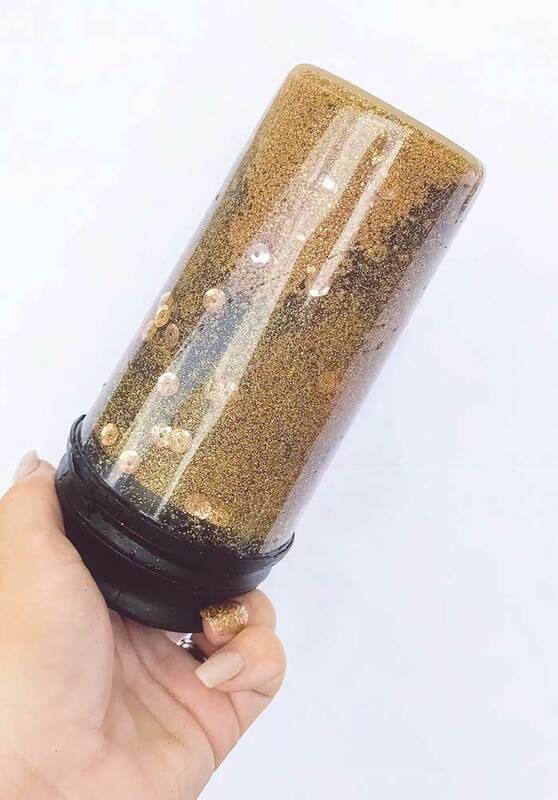 The glitter stays inside so you can enjoy the sparkles without the mess. 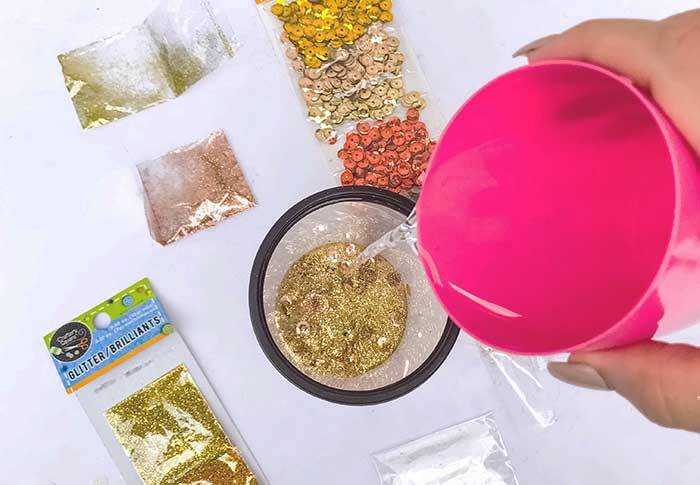 Ready to make your own DIY travel mug with falling glitter? Keep reading for all the details (plus a video!). Watch the video below for the super easy instructions! Then keep reading for details. Take your travel mug apart. Make sure to remove all the paper. 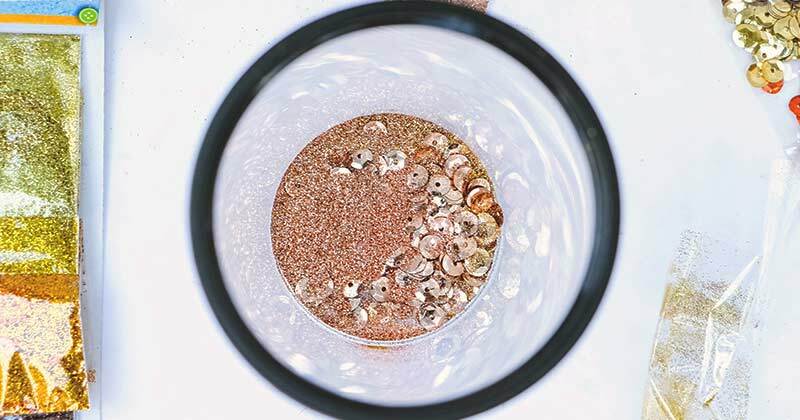 Pick your shades of glitter and pour them into your mug. 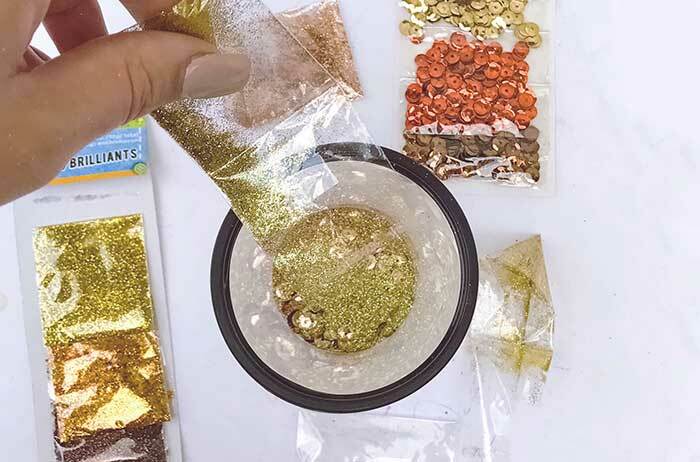 You can get creative with different colors and styles of glitter to make it your own. You can even add sequins. Just be careful to not over-do the glitter. Too much glitter will end up clumping together and won't fall nicely. You can always add a little more if you need to. Then pour in the water. Fill the mug about 1/4 full so that the glitter has room to move around. Now put your travel mug back together. When you screw your mug back together, do it over a sink so any extra water that may be in the mug has someplace to fall. That's it! 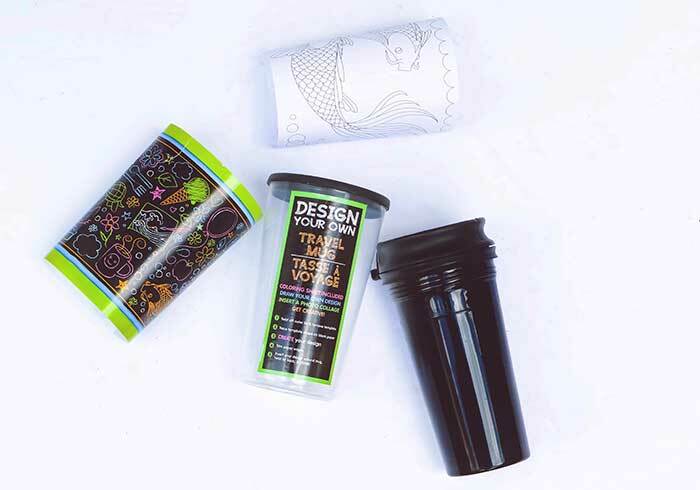 Now you have a super fun travel mug that is perfect as a boredom buster for long car trips too. Love this idea? Click here for more easy DIY projects for your home and family!